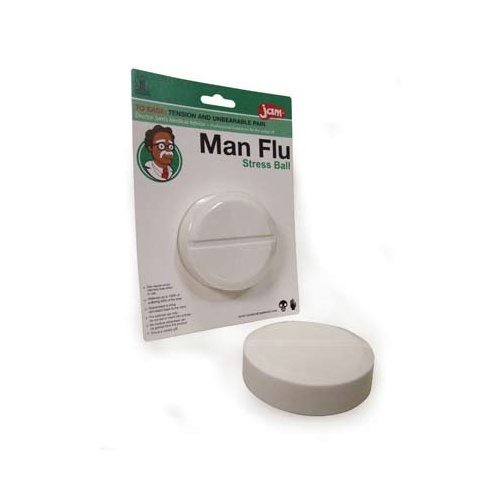 Man Flu Stress Ball | Relieves up to 150% of suffering! 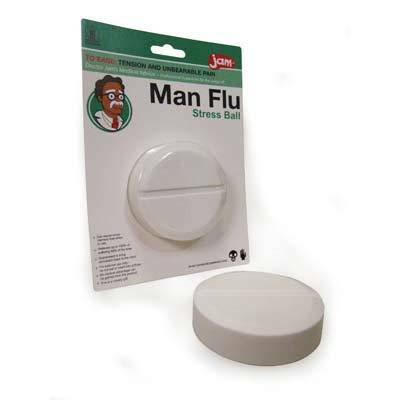 This hilarious and squishy novelty pill is great for those who suffer from the dreaded 'Man Flu', or those who have to deal with men who do! It's a simply way of distracting them to think about something other than their runny nose! A fantastic gift for any bloke prone to disease! No medical advantage can be gained from this product. This is a novelty gift.